Khloe Kardashian - who is pregnant with her first child - can't wait to pass on her Christmas traditions to her baby when they celebrate their first Christmas next year. Khloe Kardashian can't wait to pass on her Christmas traditions to her baby. 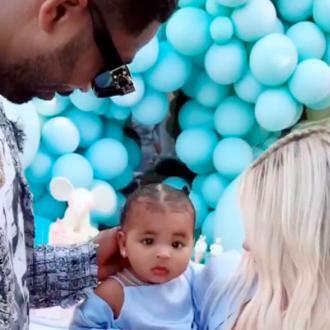 The 'Keeping Up With The Kardashians' star is expecting her first child with her boyfriend Tristan Thompson and is looking forward to the little tot's first Christmas next year so she can pass on all of the traditions her family do around the festive period. Khloe will be having an early Christmas with Tristan as his basketball team - the Cleveland Cavaliers - are playing during the festive period. She will then jet back to Los Angeles to be with her family. Khloé Kardashian launching fitness company?